200tph stone crushing line in Panama was installed in year 2007. 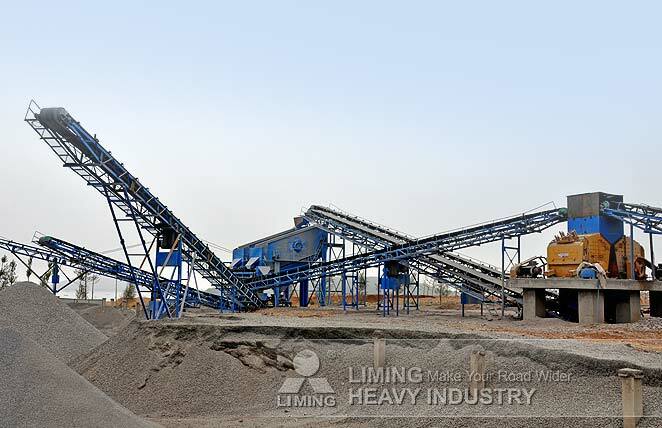 It mainly consists of vibrating feeder GZD1100X4200, jaw crusher PE750X1060, two impact crushers PF1214, two vibrating screen 3YZS1860 and several belt conveyors. This stone crushing line is designed to crush limestone for road construction, and the end products will be separated to 0-6.5mm, 6.5-13mm, 13-32mm.